Fly non-stop from Paris, Milan or Rome to Singapore from €479! Cheap flights from Brussels to Tanzania or Kenya from €393 return! Singapore Airlines, one of the few 5-star airlines, founded in 1947 with its HQ in Singapore Changdi Airport, have just released an interesting promotional sale from Europe to various destinations in Asia. This time you may consider to book discounted non-stop flighs from Paris or Milan to Singapore. (Also adding solution from Rome althought extremly low availability). Singapore Airlines are member of Star Alliance and all below charges are including all taxes and 30kg checked luggage. Round trip tickets are available already for €479. Want to see complete list of discounted flights based on this Singapore Airlines promo sale you can just follow here directly to website of the carrier. From Europe you have to look for discounted flights in travel period in May or end of August to 19th of November 2019. Book by 15th of February or until sold out. Max stay 1 month but also depends on chosen destination in Asia. Travel dates. Vary by each destination in Asia, you can simply check here directly with Singapore Airlines as they offer week´s view. You can then book directly with the airlines or through chosen online booking agent. 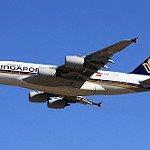 Enjoy discounted flight deals with Singapore Airlines, one of the most restpectful companies in air industry. They are also continuously ranked among top airlines in the world. Consider to use their service to 62 destinations in 35 countries on 6 continents. Booking samples of this latest Singapore Airlines promo sale – Fly non-stop from Paris, Milan or Rome to Singapore from €479! In this case you would be departing from France to Singapore on 10th of May. Your return flight from South East Asia back to Europe would be on 24th of May 2019.